Thanks to the numerous shopping malls – scattered literally everywhere across Egypt – attempting to find a unique piece has become nothing more than a daydream, belonging to a time past our own. This hassle is, of course, worsened once we consider the kind of money we need to have just to be able to afford the exclusivity of couture pieces. Luckily, Cairo has been blessed with a huge number of local fashion designers who – in their attempts to carve their way to the market via social media – offer some exclusively fresh pieces, at the most affordable of prices. This brand is home to a range of bucket bags (500LE), offered in various colours and materials, including leather, velvet and fake lizard skin. Mii_Bags’ signature peice, however, happens to be their practical – yet effortlessly chic- belt bag (450LE). 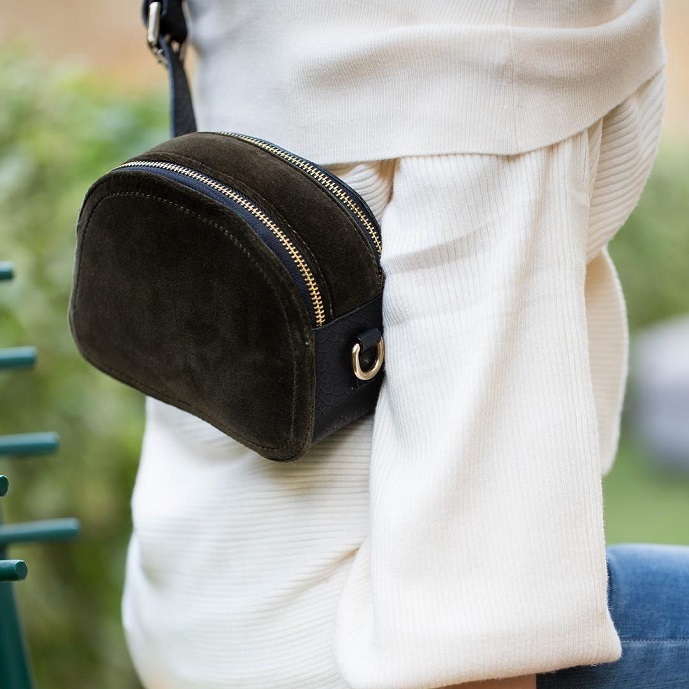 What makes this bag so practical is the fact that it comes with a multi-purpose strap; the strap can be used to wrap the bag wrapped around the waist, it can also be used to dangle the bag from the shoulder. 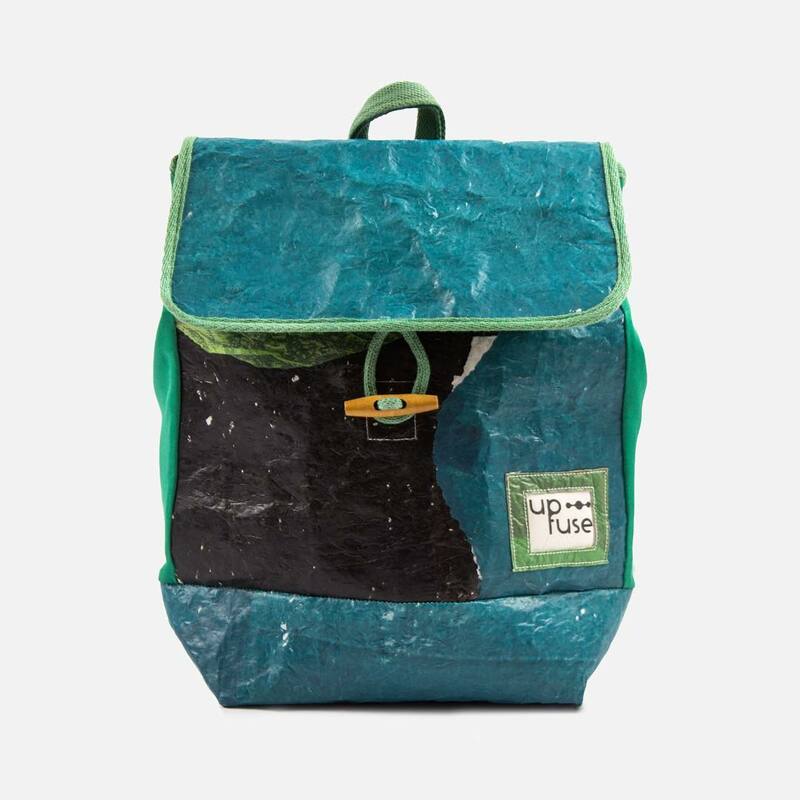 In a very literal iteration of the quote ‘one man’s trash is another man’s treasure’ ,Up-Fuse’s vast collection consists entirely of upcycled accessories. The collection includes totes, backpacks, camera straps and gadget sleeves, with prices ranging between 55LE and 550LE. Garage Leather offers high quality products, made from premium buffalo leather and solid brass. From card cases (350LE), wallets (550/650LE) and bags (1900LE), to camera straps (650LE) and key chains (250LE), there is something in there for everyone. The entire collection comes in the colours brown and black cherry, with the exception of a few products that are offered exclusively in the colour grey. Merging modern designs with Egyptian motifs, this brand offers its customers a wide range of accessories, that come in an equally wide range of colours. 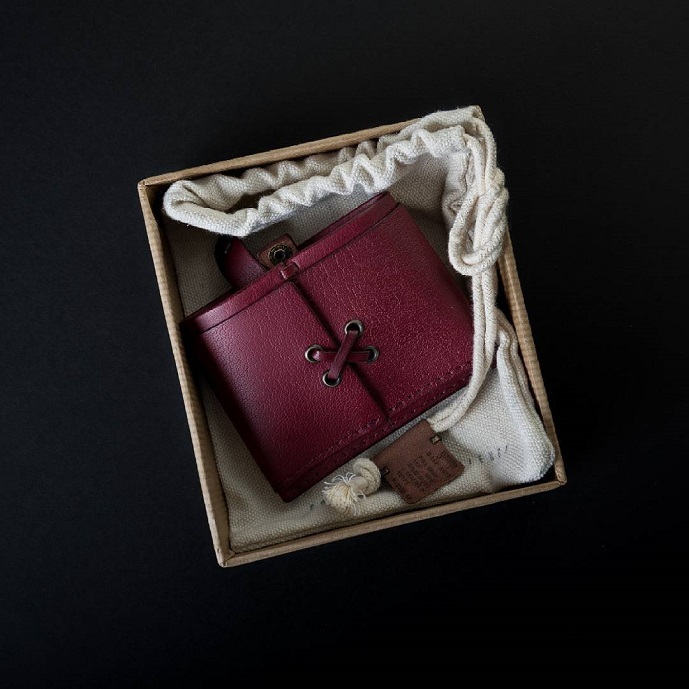 This brand also offers accessories infused with several materials, including genuine leather, cotton like fabrics, brass, and even semi-precious stones. 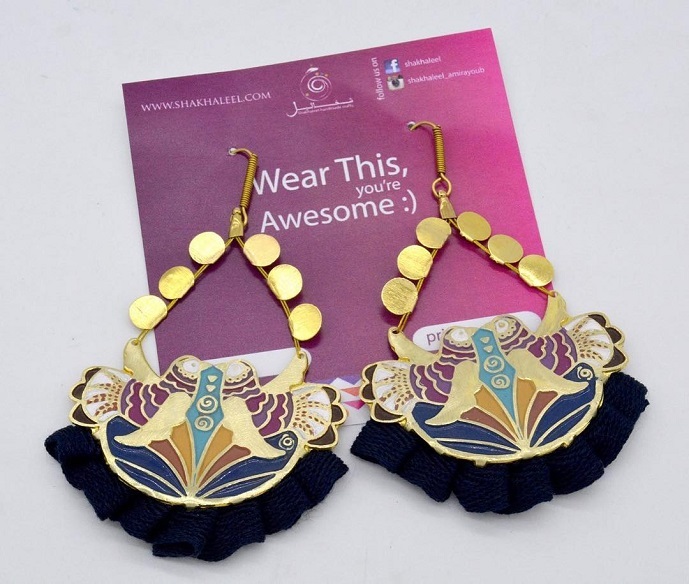 Shakhaleel has a range of trendy and chunky earrings, with prices ranging between 150LE and 350LE. Additionally, the brand carries other items, namely rings, necklaces, bracelets and key chains. Specializing in knit accessories, Triconuts provides its customers with a selection of hats, scarves, and headbands that are extremely customizable. Hat prices range between 115LE and 145LE, scarves vary in their prices according to their shape and size, but generally the latter cost a maximum of 200 LE. Triconuts also carries headbands, with prices ranging between 55LE and 85LE.